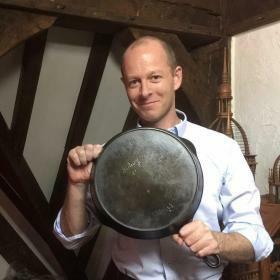 Home Cast iron cookware Lodge Manufacturing: Why is their cast-iron loved around the world? Lodge Manufacturing have made cast-iron cookware for over one hundred years. What makes them stand out as the world leader in cast-iron cookware? Have you made breakfast in a Lodge skillet? If you’re like me there’s nothing like a cooked breakfast in the morning. If so, then you really can’t look past a cast iron skillet. Lodge cast-iron have been used by many Americans for decades. Now people all over the world are discovering the joy of cooking in cast iron. 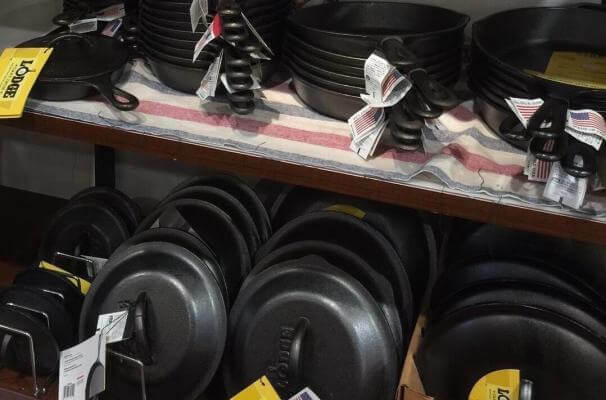 Lodge Manufacturing has a reputation for high quality cast-iron cookware. Is that reputation deserved? lets find out. Question: What was the name of the original foundry established by Joesph Lodge? Read on to find the answer. Before we start here’s a quick answer to a couple of common questions. Is Lodge cast iron any good? 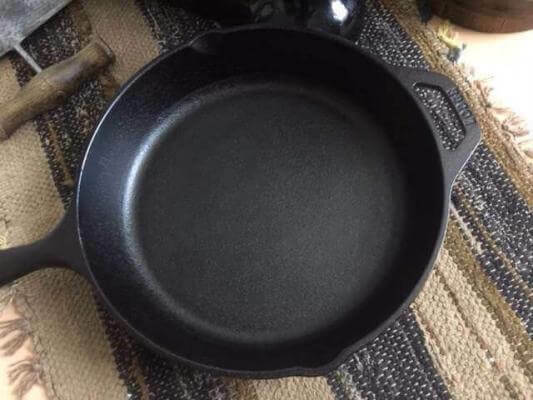 Is Lodge cast iron any good? Lodge has a reputation for quality cast iron that will last for years. Vintage Lodge cast-iron, over one hundred years old and still in use today. Is Lodge cast iron a good cookware brand? “It sure is”. Lodge has a long history making quality cast iron that is safe to cook on. If you’re new to cast iron cook then you may find our article on the benefits of cast iron useful. 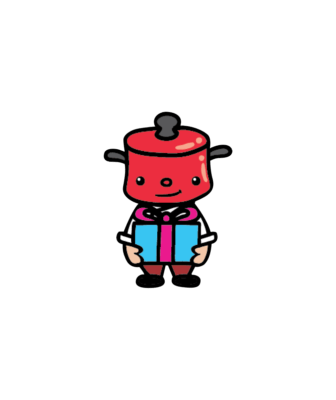 However there is a good reason why Lodge Manufacturing Company is a world leader in cast-iron cookware. So why have Lodge succeeded when so many have failed? Lodge is the oldest full time working foundry in America. Lodge is still a family business. They have strong consumer loyalty. Lodge Manufacturing make high quality products. Lodge products offer amazing value for money. 1. Lodge Manufacturing operates the last full time working foundry in America. Lets give it our support. Lodge Manufacturing is the oldest full-time foundry making cast iron cookware. In the 19th and early 20th century it was a different story. America was the cast-iron manufacturer for the world. There were many cast-iron companies such as: Griswold Manufacturing, Wagner Ware Wapak Hollow Ware, Favorite Piqua ̇Ware and many others. All have sadly gone out of business or no longer manufacture cast iron cookware. However one company remains and that is Lodge Manufacturing. For this reason we think its important to support the last remaining foundry in America. 2. Supporting a family run company. Since 1896 Lodge Manufacturing its remained in the Lodge family. The Lodge family proudly hasn’t sold out to a larger conglomerate or been pushed out by bigger competitors. Fantastic news for employees and small business that work along side the company. Another reason to support the foundry. I think family run businesses and companies have a different mindset and different core values. It’s not all about driving profits but rather; respecting the founders dream, holding traditions, looking after employees as if they were family. 3. Lodge Manufacturing supports local the local community. Lodge Manufacturing remains committed to the local community. Keeping its main production in the original home town of Tennessee since 1896. Lodge is a very large employer supporting families and other local businesses. The community benefits from having a manufacturing plant in the area. They are major sponsors of the National Cornbread Festival which brings many visiting tourists to the area. Gee I hope I can visit one day. 4. Is the quality of Lodge cast iron any good? There is a reason why Lodge cast iron products have been around since 1896, customers trust their products. Buying a piece of cast iron will last a very long time. Many pieces from the original foundry “Blacklock” are still in use today, that was some 120 years ago. Long lasting is just one benefit of cast iron “here” are some more. 5. Lodge cast iron is great value for money. Since cast-iron is an affordable material to manufacture, Lodge cookware is available at a very affordable price. Even larger pieces or the larger skillets are available at great value. Older vintage pans are highly collectable and cost a pretty penny if you find a good one thats sits flat on modern stoves. The Lodge Manufacturing Company cast iron sits flat and comes already seasoned to cook on. Lodge cast-iron can go from stove to oven, it can even be used on the barbecue. It’s indispensable in any kitchen. If you’re a first time user of cast iron, I recommend Lodge as your first piece. I think you’ll have a lot of fun using it and it will do you proud for many years of use. Here’s why we think you can’t go wrong with the Lodge 12 inch skillet. The History of Lodge Manufacturing Company. Lets start with the founder, Joseph Lodge. In 1896 Joseph Lodge started what is now called the Lodge Manufacturing Company. However Lodge wasn’t the first name. Before Lodge Manufacturing, Joseph Lodge opened a foundry called Blacklock. Blacklock was the surname of one of Josephs friends. He was also his minister. What happened to the Blacklock? The Blacklock foundry burnt down in 1910. However, Blacklock cast-iron can still found today. Cast iron after all is incredibly durable. 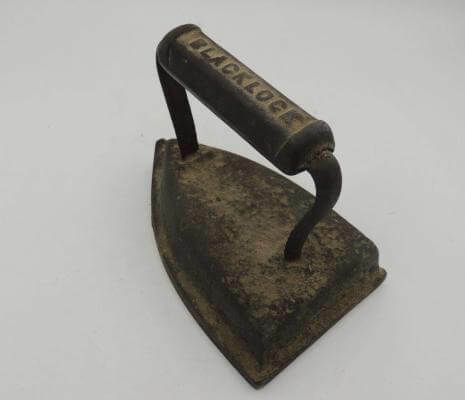 Blacklock sad irons are easily identifiable with the word Blacklock on the handle. Skillets made by Blacklock, during the time were most likely unmarked. With no wording to identify their cast iron, collectors look at other marking for identification. 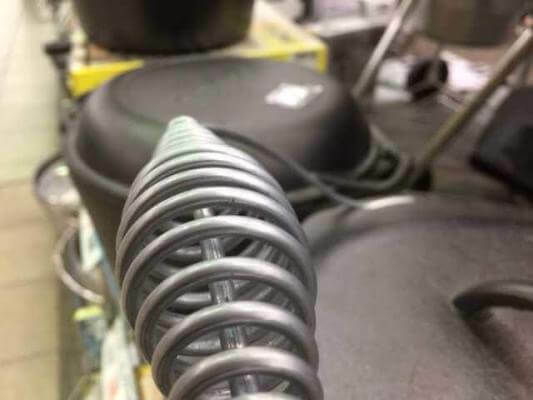 Photo credit to ndgh ebay seller. The term “sad-iron” comes from middle English. “Sad” described something as solid or weighty. The birth of Lodge Manufacturing Company. The foundry reopened and remained in the small town of South Pittsburg in Tennessee. The foundry become known as the Lodge Manufacturing Company. Early skillets produced by Lodge may have an arched Lodge logo. However many skillets were unmarked and harder to identify. It wasn’t until 1973, Lodge had its first official logo. The “egg logo”. The egg logo is now instantly recognizable around the world. Customers can easily identify Lodge cast iron from a distance with the logo and its bright black and yellow labeling. It looks like Lodge Manufacturing company is going from strength to strength even after 120 years. This could be because the company has continued to innovate. One such example of innovation is pre-seasoning their cast-iron range. There’s nothing new about seasoning, I’m sure people have seasoned cast iron almost as long as iron itself. However it’s a huge convenience for buyers not to season their pans before use. Lodge pre-seasoned skillet. The skillet is seasoned with vegetable oil at a very high temperature before leaving the factory. Since seasoning helps protect cast iron from rusting and gives the skillet more of a non stick surface. Customers are happy to buy a pan already seasoned. Before this innovation, seasoning would be up to the purchaser to do. Seasoning is easy however it can be a lengthy process. However this is more than time saving, with of the advent of aluminum, Teflon and stainless steel cookware, many people have lost the connection with cooking with cast iron cookware. People have never seasoned a pan before. 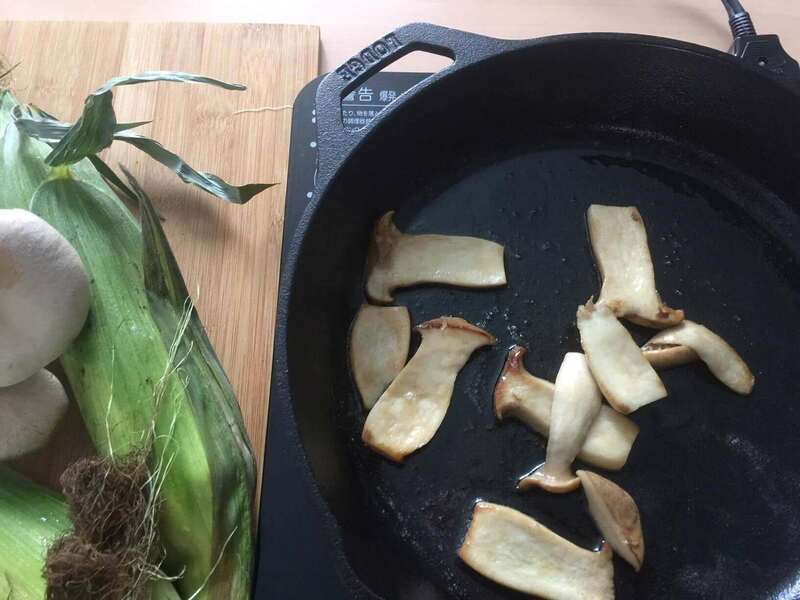 Having a pre-seasoned piece of cast iron, takes all the hassle out of knowing what to do. Just with a quick rinse the skillet is ready to cook with. It really is easy. 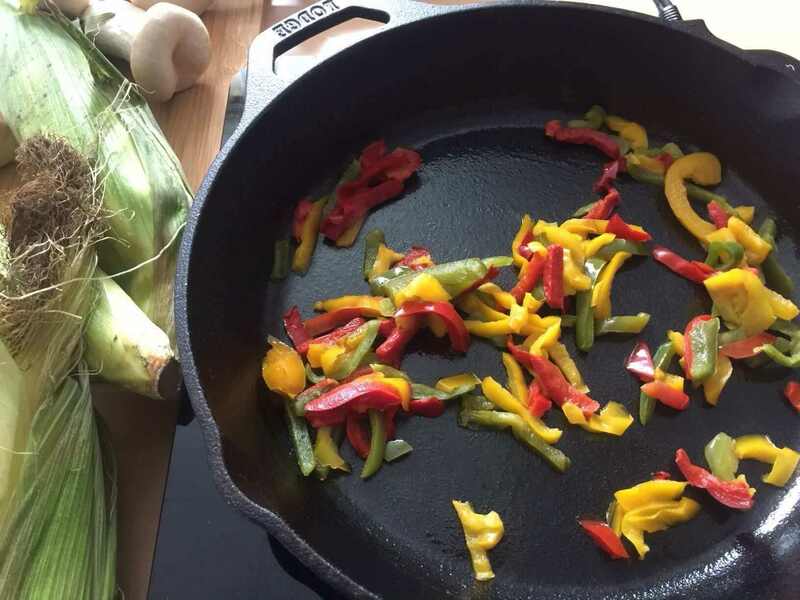 “Why use a cast iron skillet” is a great article if you would like to learn more. Lodge Manufactures enamelware products. Enamelware is easy to clean and requires no maintenance. T.V. chefs, cooking in cast-iron has increased awareness of cooking in cast-iron across the globe. Millennials concerned about food safety consider cooking with cast-iron and enamelware as a healthy alternative to non-stick and bare metal cookware. Lastly if you are looking for a new pan Lodge Manufacturing make great cookware that will look and improve with age and it fun to use. Still not convinced, read our article on Lodge skillets and griddles. Have you enjoyed the article? We really don’t think you can go wrong with any Lodge cast iron cookware. If you’re interested in cast iron cookery then you may find our other articles on cast iron enjoyable and we also have an interesting section on vintage/antique cast iron. Previous articleWhy buy Le Creuset, it’s expensive. Is it really worth it? Next articleLodge cast iron skillet | perspective from a cast iron enthusiast.